Need a high quality web design or interface design? Minimal web design for programmatic messaging service. 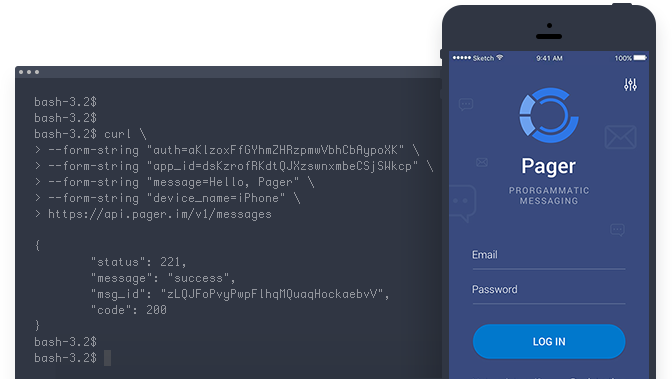 With pager.im Public Applications you have a full control over incoming messages. 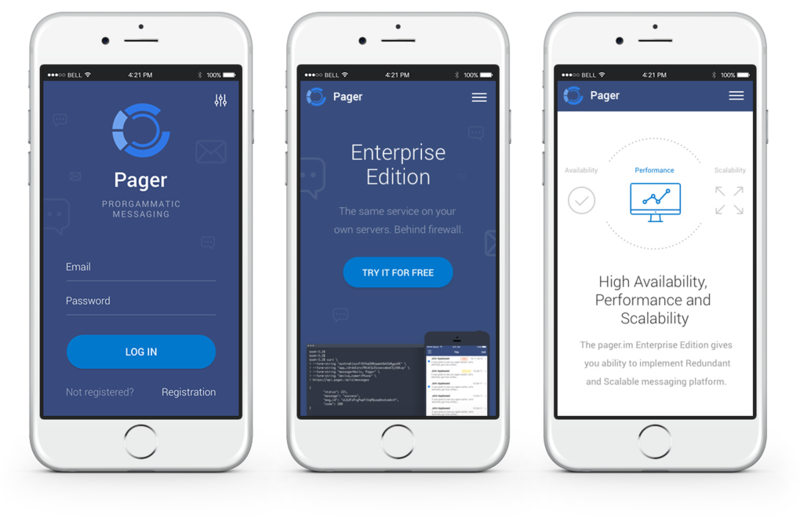 The pager.im Server supports push notifications and text messages (iOS, Android, etc). We created responsive design of website that is comfortable and looks good on different devices for users. So it would be convenient to use the site whether by laptop, tablet or mobile phone. 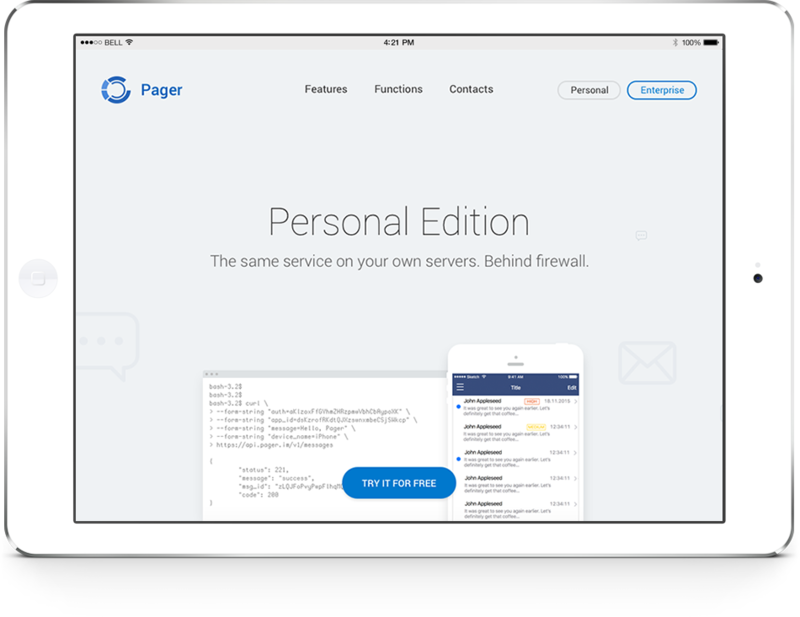 First screen of homepage is light for the Personal Edition.